Ayurveda, the ancient healing wisdom from India, takes to holistic approach towards skin care and believes that radiant skin and beauty can only be achieved when one is in balance or natural health. This is because the face, especially the skin and eyes, is a window of what’s happening in your mind, body and spirit. According to Ayurveda, face mirrors the balance and imbalance of the body and spiritual connection. And it is this inner spark, that’s the secret for the true beauty and reflects on the outer too! To keep this inner self radiant, the key is to recognize your holistic self, nurture yourself, de-stress frequently and keep the energy levels high. Ayurveda also strongly suggests keeping digestive fire (agni) and ojas (vitality) strong as that supports radiance and tejas (vigour) which enhances the prana (life force). All skin types need to follow specific guidelines for beautiful radiant skin as Ayurveda believes that each person has a unique skin type owing to the dominance of either of the three doshas viz. vata, pitta or kapha. Just like air and space, Vata skin is thin, dry, delicate with fine pores and cool to the touch. An imbalanced vata will have rough, dry and peeling skin that can cause early wrinkles and loss of elasticity. Take radish juice or orange juice and add butter or cream. Apply this pack on the face. This is very beneficial for dry skin and is a good skin tonic. Vata skin care regime should include one cup hot water with freshly squeezed lemon every morning, vata soothing diet – organic whole grains, leafy greens, warm soups & stews, juicy fruits, water, ginger, chamomile teas & essential oils. Exposure to cold, windy weather should be avoided and warm oil massages will be beneficial. Pitta is mostly fire, making the skin medium thick, fair, red, pink, and with moles and freckles and is prone to sunburn. Pitta imbalance causes acne, pigmentation, rosacea, liver spots and the care regime includes avoidance of sun and heat and wearing loose cotton clothes. For the sensitive and parched skin, you may add camphor in coconut oil and gently massage on the body. Fuller’s Earth or Multani Mitti paste is also beneficial for the skin. Dietary care includes one cup lukewarm water with freshly squeezed lemon every morning, Pitta pacifying diet which is not too spicy, hot, sour or salty, and rather includes leafy greens cooled with cumin, fennel & coriander, juicy fruits like melons, blueberries, aloe juice, rose water, avoid meat and alcohol. Cow’s ghee or the clarified butter is recommended to be taken in moderation. As for the face was, you may mix some Gulab Jala (rose-water) in cucumber juice and wash the face with it. 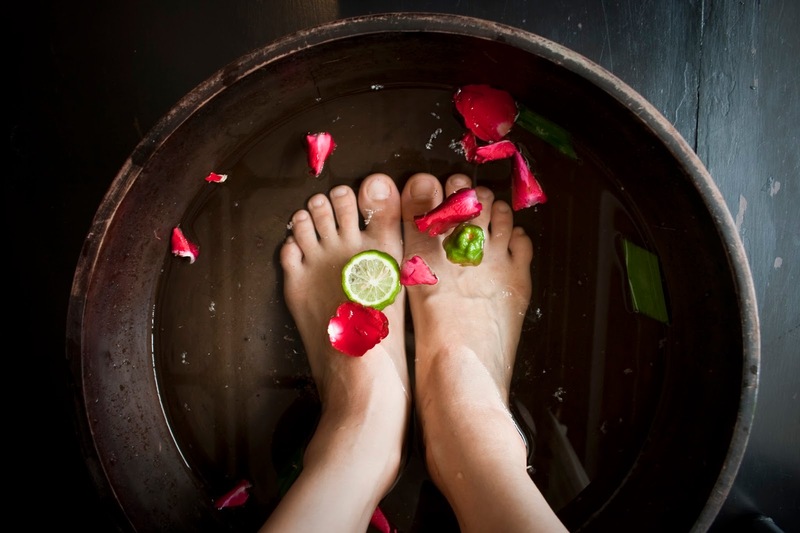 Daily oil massage with Pitta abhyanga oil or cooling and soothing oils like coconut oil, natural skin products or crèmes made up of rose, lavender, honeysuckle will be most beneficial and relieving. Kapha skin has the qualities of water and earth making the skin pale, thick, oily, soft and cool to the touch. Kapha skin type is most tolerant, ages well, and doesn’t wrinkle. Kapha imbalance can cause large pores, black heads as they are prone to accumulating toxins. Take a few neem leaves and add a pinch of turmeric and one teaspoon rose water. Apply this on the face, after some time remove the pack with the help of gram flour. Skin care includes taking one cup warm water with freshly squeezed lemon juice and half teaspoon honey added to it, diet that includes organic vegetables cooked in spices and condiments like black pepper, ginger to fuel the digestive fire, avoidance of deep fried, heavy, greasy cold sweet foods. Drinking herbal teas like ginger, blackberry, lemon balm, parsley teas and exfoliating once a week and also using basil, camphor and wintergreen oils to clear the blockages is recommended. For any type of skin a balanced yoga daily routine is a must as it helps to circulate the lymph and blood, tones the muscles, and helps you connect with your breath—three actions that enhance the inner beauty. Pranayama, is the life force as respiratory changes impact the body, skin and our moods, while shallow breathing results in pale complexion. Without sufficient prana, the skin loses its vitality and glow.